KETCHIKAN - One of the U.S. Navy’s newest class of warships docked at an Alaska port for a rare visit as the military looks to conduct more exercises in the Arctic. 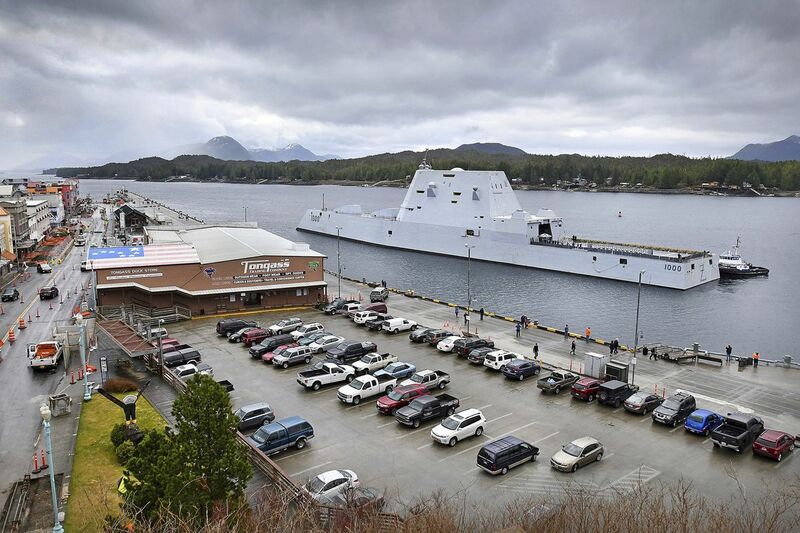 The USS Zumwalt, a 610-foot-long guided missile destroyer launched in October 2013 and based in San Diego, docked in Ketchikan on Saturday for a weekend stay, the Juneau Empire reported. Raile said receding ice in the Arctic is creating waterways that previously did not exist. He added that "everybody is more interested in the area for trade and other purposes."